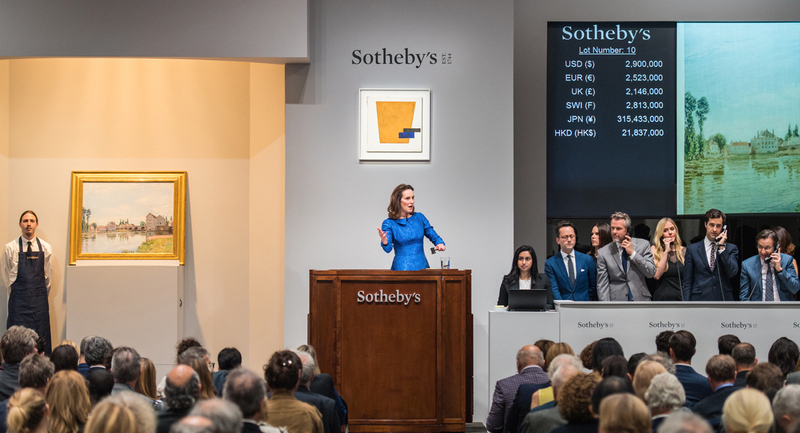 The late withdrawal of Sotheby’s star lot at an evening auction in New York last night was a blot on an otherwise solid sale of Impressionist & Modern art. Auctioneer Helena Newman conducting Sotheby’s sale of Impressionist & Modern art in New York. Images courtesy Sotheby’s. The sale was due to offer Egon Schiele’s Danaë but auctioneer Helena Newman announced from the rostrum before the sale that it had been withdrawn. Billed by the auctioneers as his ‘early masterpiece’ and as ‘the earliest expression of Schiele's extraordinary vision’, it dated from 1909 when Schiele was 19 and the vendor had acquired it from a Zurich gallery in 1994. However, although it was the first major figurative oil painting by the Austrian Expressionist to appear at auction since 2001, it was deemed in some quarters to lack the artist’s trademark features and which may have meant it would have been difficult to sell against a $30m-40m estimate. 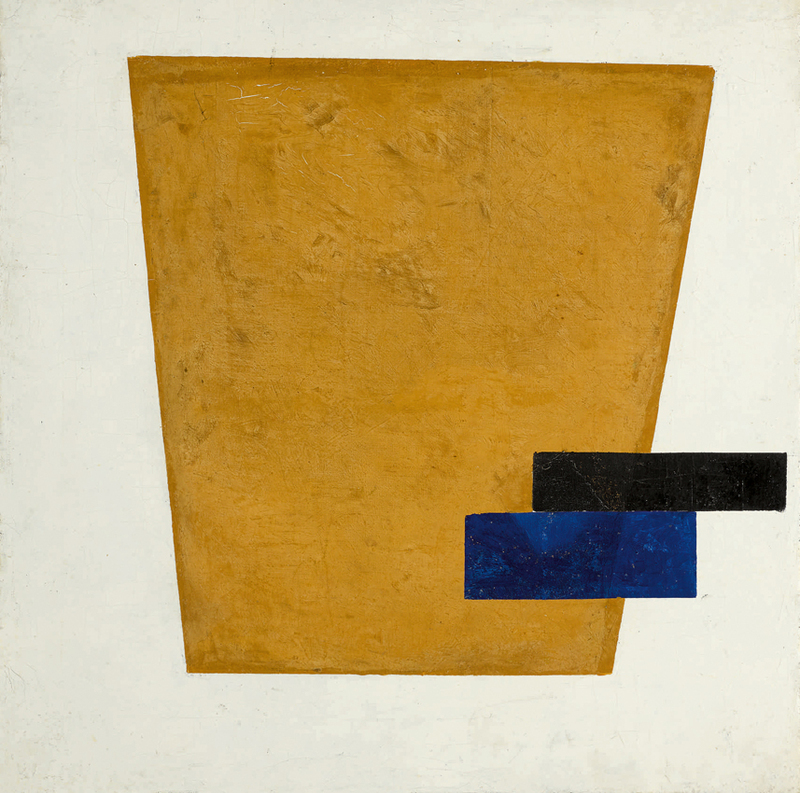 The withdrawal meant that the sale was led by Kazimir Malevich’s Suprematist Composition with Plane in Projection. The oil on canvas from 1915 drew four bidders that took it over its $12m-18m estimate before it was knocked down at $18.6m (£14.4m), the fourth-highest auction price for the artist. The auction also posted some notable prices for modern sculpture with 10 works raising a combined $54.1m (£41.9m) including premium. 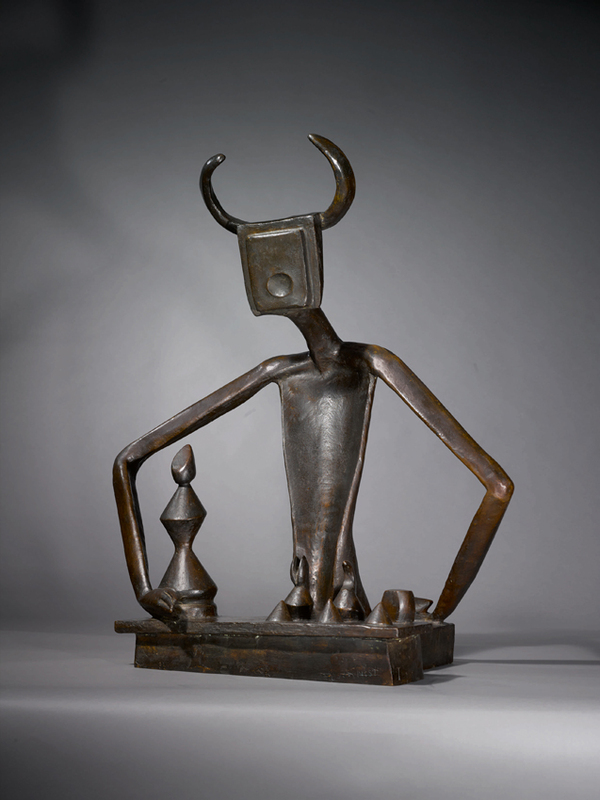 The top lot of the group was Max Ernst’s Surrealist bronze Le Roi Jouant Avec La Reine which sold to a phone bidder at $14m (£10.9m) and set an auction record for a sculpture by the artist. The price was six times above the previous high which had stood since 2002. It came to auction from the collection of the artist Robert Motherwell and had been estimated at $4m-6m. The 3ft 3in (98cm) high bronze was conceived in 1944 and cast in the 1950s. The overall premium-inclusive total at Sotheby’s was $173.8m (£134.8m), with 37 of the 50 lots (74%) selling on the night. This was below the $289m (£224m) generated from 55 lots at Christie’s the day before. The buyer’s premium at Sotheby’s was 25/20/12%.